Last weekend was my first olympic distance triathlon since September 2007. Wow. That is even longer than I thought. I did not race at all in 2008 because I was pregnant with Max who was born in August. 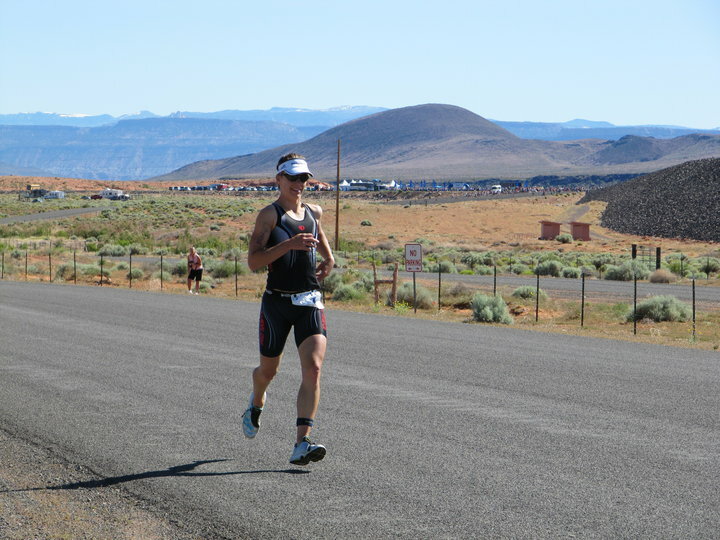 I decided to take things easy in 2009 and focus on sprint distance triathlons. I was not sure how much training I would be able to get in having 2 little boys (and one ultramarathoning big boy) and how long it would take me to get back in shape. Being able to go all out from start to finish. No need to worry about nutrition. Empty finish areas. This means lots of food and no wait for a massage. Most everyone else is still out on the course! If you are the winner, you are actually the first one to cross the line. Olympic distance winners just get swallowed up in the sprint crowd.